Over the years I have had several occurrences where I would wake up to paralysis; I could only open and move my eyes, nothing else—scary, right! As a medium, I have had my fair share of paranormal visitors and experiences, and not all were nice ones. Before I learned about my ability and how to apply what I have learned about spirit, and the sometimes suppressing feelings I would have upon waking were quite frankly scary as h***! BUT, today, I believe differently. I do not believe that there is an invisible force holding me down, stealing my life force, or ghosts playing games with me during sleep. I believe it is a very natural thing. Through experience and research I have discovered that during REM the paralysis is a result of muscle atonia (muscle weakness) when your mind is no longer communicating with your muscles. 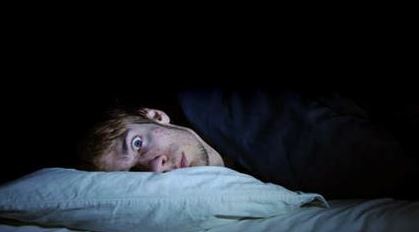 In short, while you are sleeping/dreaming you are simply out of your body, so don’t buy into the hype that this type of paralysis is a paranormal attack. More than likely it’s NOT! Periodically, and what always seemed to happen after discovering that I had a little ghostie in my house with me (this happened a LOT), I would awake to what would seem like my entire body was being held down. Strangely, I could open my eyes and look around the room, but nothing else worked—no other physical movement except my eyes. I would scream and scream for my then husband to help me, but he would never hear me, he just laid there sleeping peacefully. I could hear myself scream from the inside, but nothing would come out. One good thing about these episodes (if you can call it good) is that they did not last for long. Once the episode was over I was convinced I was just attacked by a ghost holding me down. I never knew why I just thought it was a GHOST! As time went on in my life, and I began working at understanding ghosts/spirit better, my abilities better, the paranormal better, and intuition better. I developed a whole new outlook at the spirit world and realized I had many more abilities than mediumship to learn about. I learned that I could do a variety of intuitive modalities naturally, such as: remote viewing, telepathy, precognition, astral traveling, and more to the point of this article, I discovered what it was like to have an OBE (out of body experience). Without my efforts to understand, and except these innate abilities, I would have never discovered that all the paralysis I had experienced early on, that scared me so much, was really only me astral traveling and being out of my body during sleep. When my physical body woke up I was simply not back from my astral travels yet and the paralysis result was NOT spirit or ghost related but soul sailing. NOTE: these are my accounts and personal experiences only, and I am not in any way discounting experiences from walk-ins or other possessive entities that others have encountered. But those are few and far between—still very real, but I am primarily accounting a misconception for many that think they are being attacked, but more than likely they are having an OBE. 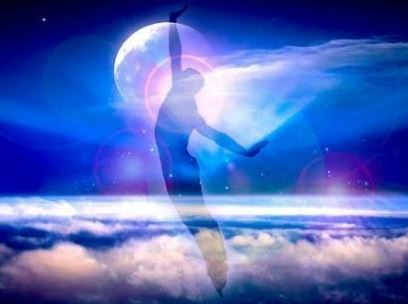 This particular paralysis (in my opinion and experience) is simply this; when our physical and biological body is sleeping in bed (or wherever that is for you) the soul self is astral traveling or what I like to call "Soul Sailing"—TRUST ME we ALL do this whether you know it or not. Call it dreaming if you like, but you are definitely out of your physical body during the REM cycle of sleep. The REM (rapid eye movement) cycle is the deepest state of sleep, and while you are in this state the physical body will sometimes wake up before the soul self (the astral traveling part of you) has had a chance to reunite with each other. This causes the physical body to be somewhat suppressed, and the reason your physical body is suppressed without the soul self is . . . well no one fully understands this completely, but the physical body cannot live without the soul—its a fact. Fear kicks in, and more times than none, this experience is chalked up to a paranormal attack, which is again in my opinion, simply NOT the case. Hi Renee, Thanks for the reply, and don't worry. I'm still relatively new to the editing team, but I can give you a few suggestions based on my experience writing articles for OM Times. The general themes you have chosen are great, we typically look for articles that help raise consciousness and expand our way of thinking in a positive, empowering or uplifting manner. There are also other editors who look after spirituality, personal growth and healing/health. - Original content, in other words, it hasn't been posted in other magazines or in blogs. - Please steer clear of 1st person narratives as much as possible, using "we" instead of "I" or 'my", or by writing in third person to make the narrative more inclusive. And less like a blog post. - The submission guidelines also have certain indications for pictures (see link above). Please let me know if you have any questions, and feel free to resubmit.